A set of 4 stiff bristle round painting brushes. Each brush has an easy-to-grip chunky handle ideal for children. 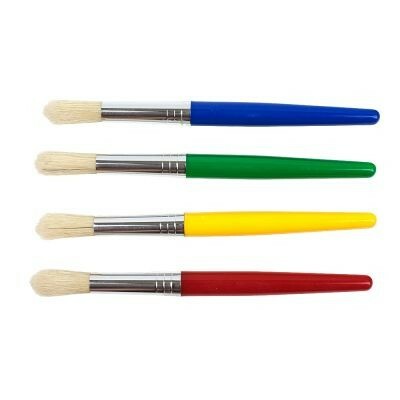 Also available in a set of 4 Flat Junior Brushes.